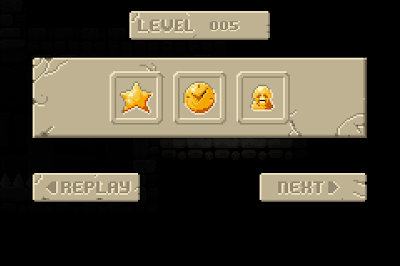 Graphically Meganoid 2 is typical of Orange Pixel's style, simple (in a good way), with chunky pixels, lots of colour and consistently good quality controls. It doesn't break any new ground, nor is it trying to, but the clever lighting effects help augment the underground atmosphere while not revealing what traps lay ahead. Aurally it's much the same story; solid tunes and sound effects do more than enough to set the atmosphere of the game and keep things bright and bouncy while you die repeatedly. Does it succeed in bringing the Rick Dangerous style game into the modern mobile era in the same way that Gunslugs and to a lesser extent Heroes of Loot do? The answer is a reluctant yes, because while the game is typically polished it’s becoming harder to show any enthusiasm about the proliferation of ‘endless death’ style games. 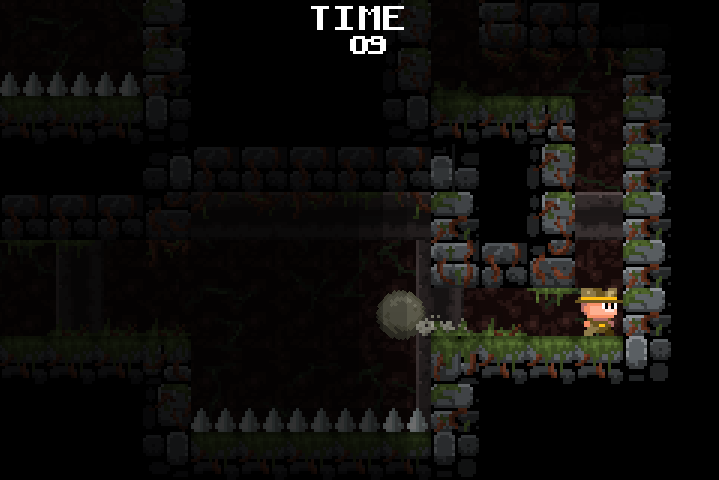 Death by spike (the levels are literally short and sharp), death by block, death by snake, death by spear and death by boulder are all present and correct, as they should be in any good Indiana Jones homage. Nonetheless, call me old-fashioned but personally I'm not mad keen on being forced to replay a level a million times just to avoid getting annihilated. Don't get me wrong, it's not a disease restricted to Meganoid 2, but rather it is symptomatic of where a lot of gaming is these days, particularly in the mobile and to a lesser extent indie spheres. Even old hands like Philip Oliver have admitted that if they remade Dizzy they would do away with lives and simply allow infinite attempts. There is an interesting debate to be had over how the market is helping define the nature of the games that are released in it and mobile gaming certainly favours short, sharp bursts of gaming - especially with frustratingly challenging games like Meganoid 2. When played for extended sessions, dieing a dozen times just to work out the correct pattern of a puzzle does become a little tiresome - especially so when victory is followed by immediately dieing at the next section and you have to go through it all again, working out the new pattern. When Rick Dangerous was released it got a bit of a bashing from Amiga Power, who did not like the way it forced players to learn the levels by trial and error to beat them. The traps were invisible, and lives were limited - so whereas Meganoid 2 suffers a little from the same ailment, at least it's not quite as unfair as what is undoubtedly one of its main sources of inspiration. Nonetheless, beating the game is more a test of your ability to memorise the patterns and navigate them rather than a challenge of skill and reflexes alone. 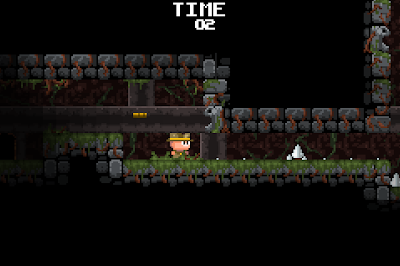 This is not to say some of the levels aren't very well put together. 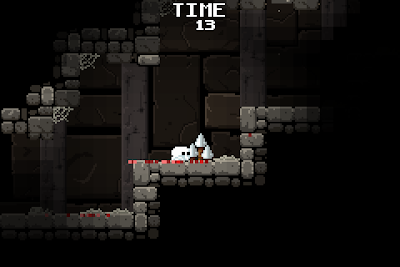 It's just that the game is a test of pattern learning, and many times you'll be inching rather than racing through a level to avoid the numerous instant death traps that spring out at any time. I fully accept I'm being a curmudgeon here. The game and the genre does have its fanbase - but unfortunately it features a style of play that is increasingly leaving me cold. Meganoid 2 has all the polish you would expect from an Orange Pixel game and if you enjoy short bursts of repeated, instant deaths in your gaming then you'll probably find a lot to like. Personally I'll stick with traditional 'lives and continues' for a little while longer. Purchase the Android version here (from the Google Play Store). 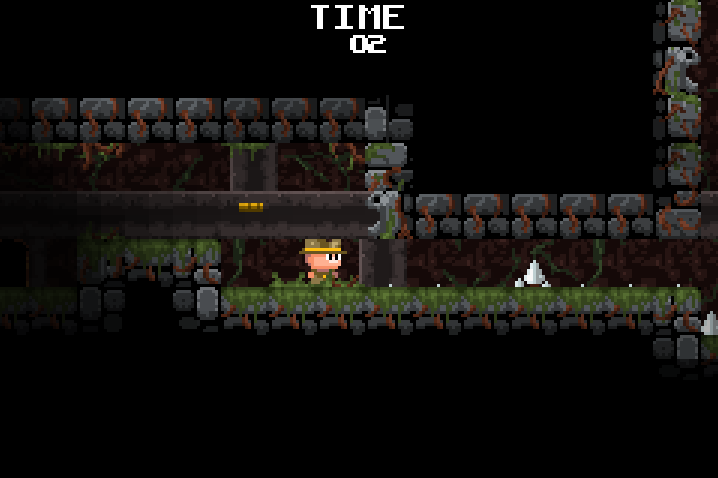 Purchase the PC/Mac/Linux version here (from the Oragnge Pixel website). Having never played the original Meganoid I have no idea how it compares in terms of gameplay to Meganoid 2, or if there is any direct story link between the two, but I have to say that I quite enjoyed this little Indi(ana) romp. Sure, the near-invisible traps and instant deaths will irk some, but then 'memory-based' gameplay has always been a love or hate design choice present across the whole spectrum of genres. The same 'faults' could be said to be present in Irem's classic R-Type series - all of which were hard-as nails games where memorising waves and power-up locations was arguably more important than a players raw skill and reflexes. 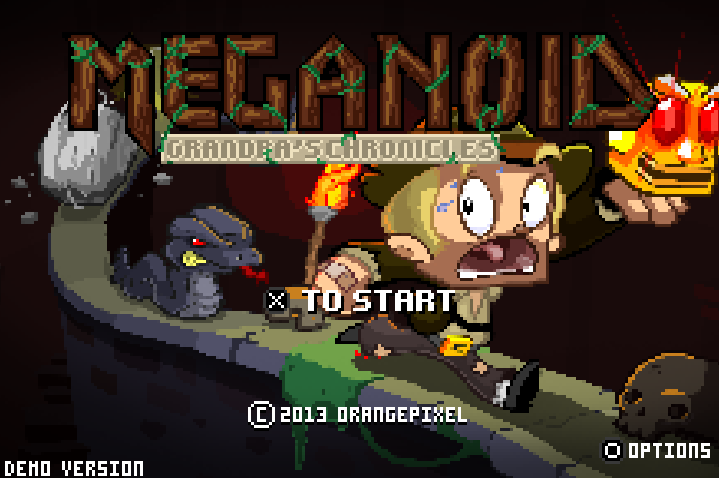 Regardless, I personally give Meganoid a thumbs up. 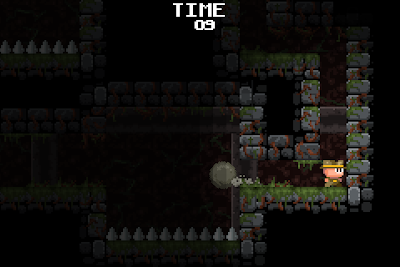 It's not quite up there with Gunslugs, but feels tighter in terms of design than Heroes of Loot. I'm still hoping there will be an Ouya version released so I can finally play it on the big screen instead of hunching over a keyboard or squinting at mobile.